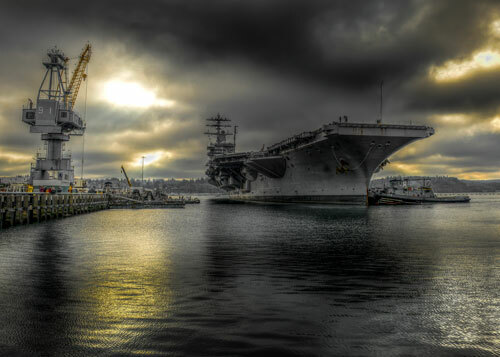 IT support at the US Navy Puget Sound Naval Shipyard - S&K Technologies, Inc.
USS Nimitz in Puget Sound. Courtesy US Navy. How many times have we all been in a similar situation and wished there was someone there to help? Someone who won’t condescend when we sheepishly admit that we ‘may have’ fat-fingered our password three times in a row, or were trying to download a new application from the internet just before everything went south. 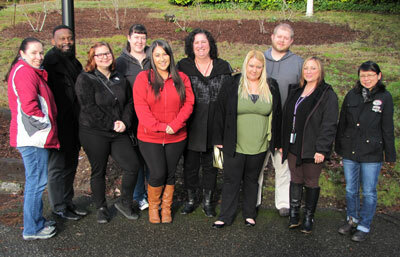 Multiply that experience by the more than 12,000 end users, and you begin to get a sense of why the S&K Global Solutions (SKGS) IT team is held in very high regard at Puget Sound Naval Shipyard (PSNS). 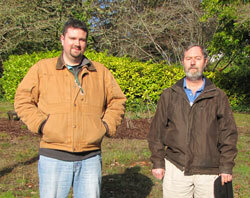 Members of the S&K Global Solutions IT support crew at Puget Sound Naval Shipyard. SKGS has supported PSNS since July of 2010 when they were awarded a subcontract with Booz Allen Hamilton to provide help desk staffing as part of a larger IT services Task Order. That five year contract was re-competed in 2015 and once again SKGS was asked to join the Booz Allen Hamilton team with the addition of several new positions and responsibilities. 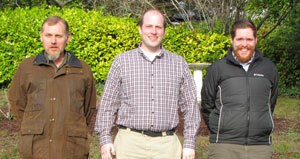 In addition to PSNS, the SKGS team provides remote IT support to Navy personnel located at Everett and Bangor, Washington, Yokosuka, Japan, Guam, and San Diego. Covering nearly 180 acres of prime Puget Sound waterfront in Bremerton, Washington, the PSNS is celebrating its 125th year of providing construction and maintenance services to the U.S. Navy. Over the years, the dry docks and machine shops have seen continuous growth and evolution. Today the facility provides an interesting historical, if somewhat eclectic, representation of naval architecture for the past century. The PSNS has serviced a variety of ships and submarines during this period and is currently home to a number of small and large craft including aircraft carriers U.S.S. Nimitz and U.S.S. Stennis. USS Albuquerque near Seattle. Courtesy US Navy. Near the center of the shipyard is a large concrete structure (think Soviet-style utilitarian) which is home to most of the SKGS team. One of the primary responsibilities at this location is to provide real-time Tier One and Tier Two help desk support to phone/email requests from sailors, government employees, and contractors any time of the day or night, including weekends and holidays. The help desk activity occupies just over half of the teams workload. An average of 10,000 combined phone and email requests are received each month. Each is addressed calmly and courteously by a member of the help desk staff – regardless of the frustration and angst sometimes expressed from the opposite end of the conversation. Along with the critical “I need help now” requests, SKGS team members provide desktop user support such as setting up new accounts or adding functionality to existing ones. This group also schedules and executes the frequent moving of IT assets for individuals and groups within the PSNS. This includes making certain that network access is available and properly located so that critical Navy operations continue with minimal disruption. In an average month, the group coordinates more than 250 moves, adds and changes, and establishes over 100 new user accounts. A related activity that operates from a nearby facility properly disposes of IT equipment that is no longer functional or needed. In addition to collecting, packaging, and delivering these devices for disposal, the team member has the (most of us would agree ‘enviable’) responsibility of making certain that all stored information has been properly erased and made inaccessible by physically destroying hard drives and other storage media. A third function provided by the SKGS team is the maintenance of software applications used to administer IT services at PSNS. In late 2014, the Navy decided to replace the ubiquitous ‘Remedy’ system used to register and track IT services for many years at PSNS. The ‘Footprints’ application was chosen which provides a similar purpose. This transition resulted in the need for significant modifications and has led to an on-going task to add and enhance capabilities. Once again, the customer exhibited their high degree of confidence in the team’s ability when they were entrusted with both the transition to Footprints and asked to staff a continuing initiative to maintain and upgrade it. Lastly, the SKGS team is also responsible for maintaining and delivering expendable items such as toner used in the hundreds of printers and related IT devices located across the shipyard. It comes as no surprise that there are over 25 different types of toner cartridges used throughout the facilities and making certain sufficient quantities of each are always on hand is not an insignificant task. SKGS purchased a delivery van that is used exclusively for this task. The Navy’s sensitivity to shipyard security can be gauged by the fact that special authorization was required before we were permitted to install a ‘backup camera’ and dashboard monitor to minimize the risk of accidents when backing up for deliveries.